Request A Free Survey Today! Are you looking for a Fencing Installation contractor to take care of your new fence? Maybe your current fence is outdated, falling apart or has been weather damaged. Whatever your reasons, J Dowle Fencing & Garden Services Ltd will be happy to help. Our wide variety of garden fencing can really help shape and style your garden. We have built a great reputation for our excellent fencing services including repairs. We also lay claim to an enviable range of colours and styles that we offer our customers. If you live in or around Maidstone, Medway, Chatham, Gillingham, Sittingbourne, Gravesend, our expert fence specialists are on hand to assist. A new fence can really enhance your garden. We can help you match any existing fencing or design features with the right choice of colour and design. Whether you know exactly what you would like or you are looking for some guidance, we can help. If you have been charged with finding a new fence for your home or place of business, we will provide you with a quick and efficient service. The J Dowle team prides itself on providing our customers with a peerless service. They are consistently happy to recommend us to friends and family. 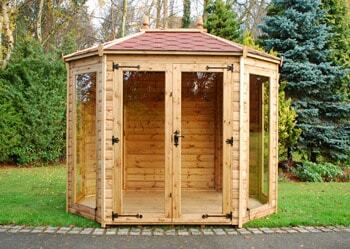 We source our fencing materials from the reputable Boxley Timber. To browse the full range of fencing materials we can supply, we recommend paying them a visit. Our team can happily install any style of fencing you choose. J Dowle Fencing & Garden Services Ltd is one of the leading garden specialists in Kent. From short fences to seven foot or taller, we have the contacts to supply you with exactly what you need. If you would like us to provide a quote for fencing installation, repairs or any other service, please Contact Us. We can then arrange a no-obligation home visit and site survey.